Successful completion of this course will prepare students to look carefully at their own work activities and contribute to the development of strategies to combat work related stress, in co-operation with managers and supervisors. Stress Awareness is a stand-alone Level 2 qualification which complements the Level 2 Award in Health and Safety in the Workplace programme. It is aimed at raising awareness of likely sources of work-related stress, the range of symptoms / effects it can cause and the options available for its control. While the level of the qualification is aimed at general workers, it would provide a suitable introduction to the issue of work-related stress for more senior staff. Initially this course should be offered to Supervisors / managers who are notoriously vulnerable to stressful situations and as result of their attendance could recommend additional general staff who could also benefit from understanding stress as an occupational health hazard. Certificates will be issued by Ashtree Management Services Ltd as a non accredited unit and will last for 3 years. This unit of study can be delivered as a stand-alone qualification and there are no specific pre- requisites. The course is designed to be delivered in 4 hours. 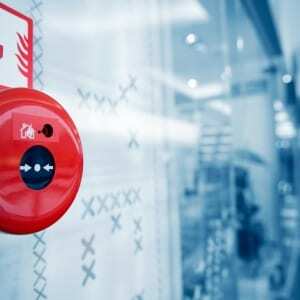 Fire Safety Level 2 (Fire Marshal).